When Cynthia Wang, a Dallas resident, visited the Dallas World Aquarium (DWA) with her family in September, she had no idea that she’d leave the aquarium determined to help free one of its animals. 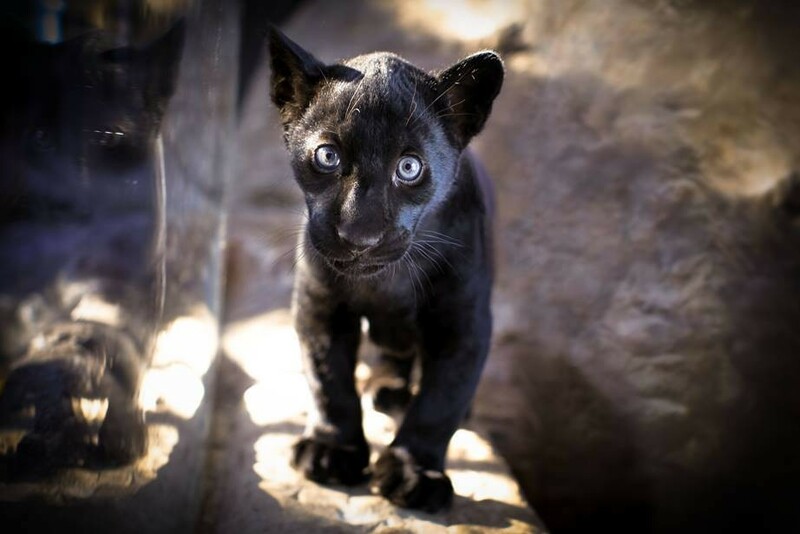 “We were walking through and this black panther is sort of at the end of this route. He was literally in a glass enclosure about the size of my living room,” Wang told The Dodo. But DWA isn’t the only aquarium to have big cats. Another aquarium in Texas, Landry’s in Houston, houses four white tigers who haven’t seen the sun in 12 years. The ALDF is currently pursuing a lawsuit against them, based on recent changes to the Endangered Species Act that require big cats like tigers and jaguars to be able to exhibit natural behaviors in captivity. There are also upcoming changes to the guidelines from Association of Zoos and Aquariums (AZA) about keeping big cats captive. If ALDF wins the lawsuit, B’alam’s life could also change. “If we are successful in our case against Landry’s relating to the tigers, then a victory could place pressure on DWA given the substandard conditions for jaguars (an endangered species),” Nasser said. DWA insists, however, that the jaguar is perfectly fine where he is and that visitors aren’t getting a full picture of what B’alam’s life is really like. Coover explained that there is a larger outdoor area with access to sunlight, fresh air and more room. “He can visit this area via the ‘tree ramp’ anytime he chooses,” Coover said. Wang wasn’t the only one. 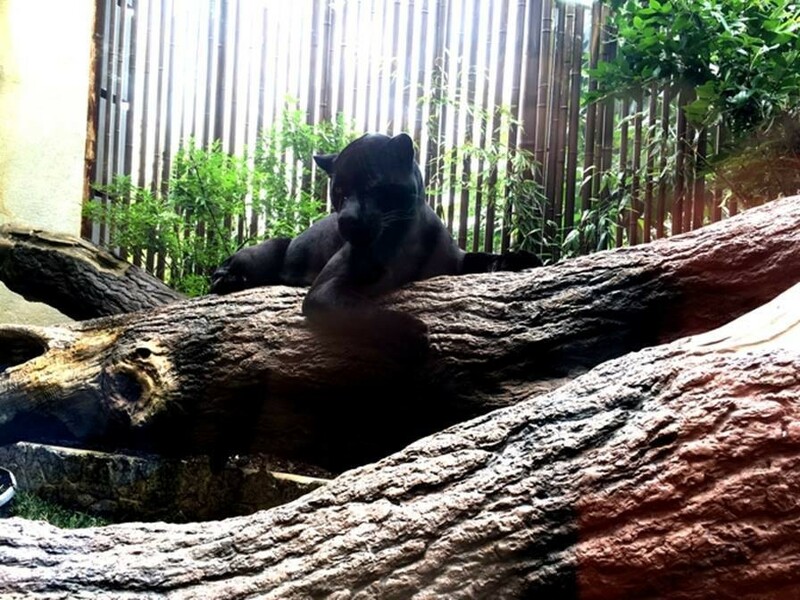 Over 130,000 people have recently signed a petitiondemanding a better life for the black jaguar. “I was so disgusted I decided to start a petition, something I’d never done before,” Bacon said. This isn’t the first time Dallas World Aquarium had come under scrutiny for its animal welfare standards for its big cats. 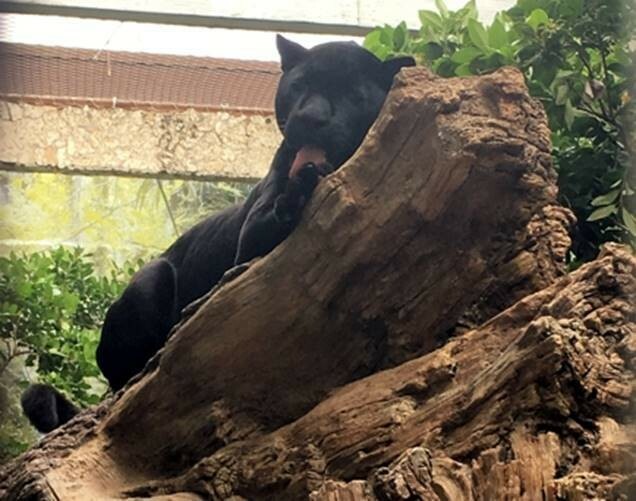 A profile published last year in The New Republic about Daryl Richardson’s track record with exotic animals could help illuminate what this black jaguar’s life is really like. A caterer and restauranteur, Richardson bought an abandoned warehouse in Dallas’s West End, which he opened in 1992 as the Dallas World Aquarium, a private for-profit institution. “I’m clearly out for the profit,” he told the Morning News when DWA opened. One of the first jaguars at the aquarium was returned to the animal’s owner after he got suddenly sick. The owner said he discovered a toucan’s bill blocking the big cat’s intestine, suggesting he devoured the bird. The jaguar later died. Another jaguar died under anesthesia, and, according to The New Republic, some employees thought it was because her heart was weak from the stress of captivity. The exotic cats at the aquarium have also turned on each other. In 2011, a jaguar attacked an ocelot, who lost his leg. B’alam was “born at a sanctuary in California, and was hand-reared here,” according to Coover, who, at the time of publishing, was uncertain about which “sanctuary” it was, but it is unusual for births to occur at legitimate sanctuaries. If you agree, click here to add your name to the petition for B’alam. To tell the aquarium what you think they should do, you can contact them at (214)720-2224 or info@dwazoo.com.